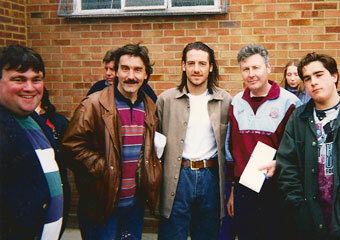 Dublin Hammers at Chadwell Heath - 14th May 1995. 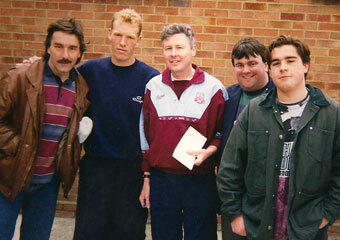 Dublin Hammers Members visit the West Ham training ground at Chadwell Heath. 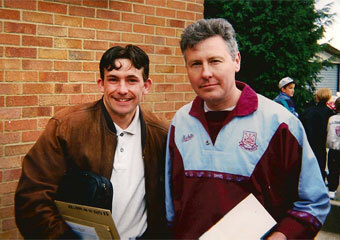 (Above) Dublin Hammers, Club Chairman Eddie Cox with West Ham legend Frank Lampard. Above Left: Dublin Hammers members with Ian Bishop. Above Right: Club Chairman Eddie Cox with Matty Holmes. 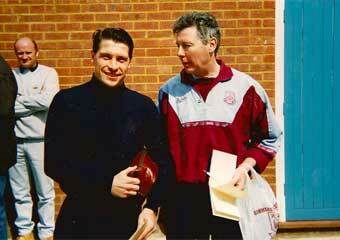 Above Left: Club Chairman Eddie Cox with Tony Cottee. Above Right: Dublin Hammers members with Tim Breaker.